4 miles north of Sturgeon Bay on Hwy 57. 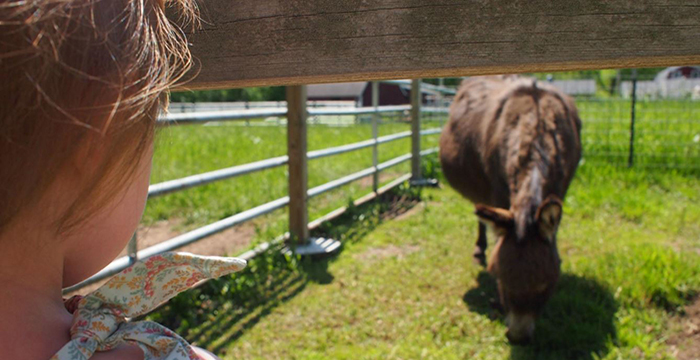 Visit farm animals in natural surroundings. Bottle feed goat kids, lambs, and piglets. Milk a goat, see chicks hatch. Pioneer log buildings, farm tools and implements, gardens and field crops. Enjoy nature trails and exhibits. 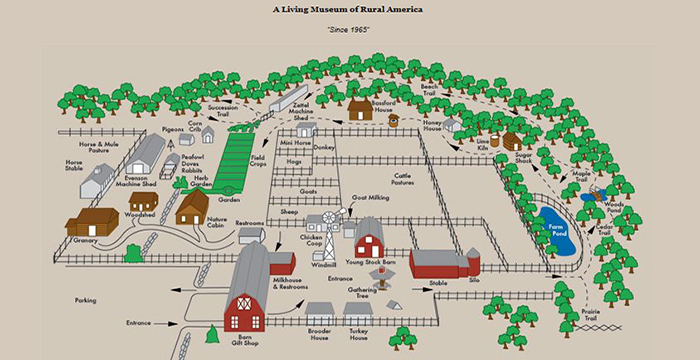 The Farm is a living museum of rural America. We are open from Memorial Day weekend through mid-October. The Farm was started over 42 years ago by Carl and Ruth Scholz and 6 good friends. (Orv and Sal Schopf, George and Margaret Evenson, Ralph and Arbutus Roth). Together, the "farmers" bought 40 acres of land that was part of the first commercial orchard in Wisconsin. Joseph Zettel, a Swiss immigrant, arrived in Door County in 1856 and planted the first fruit trees on this land in 1862. The barn and stable were built in 1966 and The Farm opened that summer. In the years to come, buildings were added. The log buildings were moved to this site from 5 Door County locations. 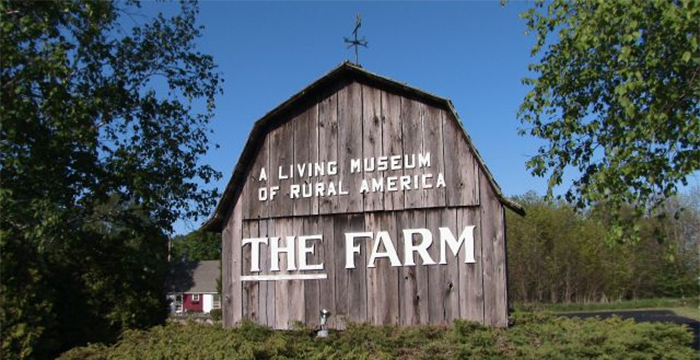 Over the years, The Farm turned into a labor of love for the "farmers." Their dedication to education and the preservation of our rural heritage is evident in every aspect of The Farm, and they have given all who visit an opportunity to have experiences that will touch their lives forever. In 2002 the Tanck family purchased The Farm from the last of the original owners – Carl and Ruth Scholz. 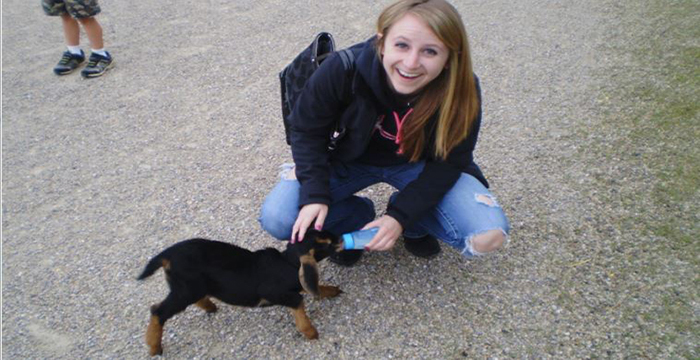 David Tanck fell in love with The Farm while working here through high school and college. Together with his wife Jenny, brother Jeff, their parents, Elmer and Shirley, and a huge extended family, they plan to continue running The Farm with the same passion and vision it has had for the past 42 years. 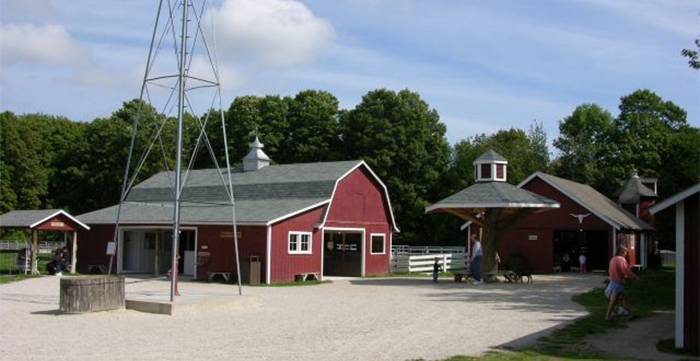 The Farm continues to grow and change with new exhibits and animals each season. Be sure and come back every year and watch us grow.